“Keep walking, though there’s no place to get to. 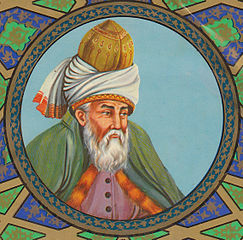 Jalal ad-Din Muhammad Rumi (1207-1273) was a 13th century Persian poet, Islamic scholar, theologian, and Sufi mystic. His poetry has been translated into many languages and is much appreciated around the world. After his death, his son and his followers founded the Mevlevi Order or Order of the Whirling Dervishes. 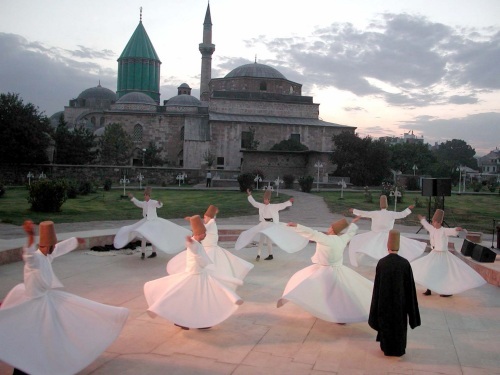 The whirling dance is part of the Sufi Sana Ceremony. This entry was posted in Blogging, Quotes and tagged Blogging, Life Journey, Rumi, Silver Threading Writer's Quote Wednesday on March 25, 2015 by Deborah Drucker. I love Rumi. And this quote is particularly pertinent today. Thank you for being inspired to post it. Thank You. It does inspire me. Beautiful quote and I love the information about Rumi. We see many of his quotes all over so it is nice to know more background about the author. Well done! Thank You Colleen ❤ I did not know this about him until I researched it a bit, especially the connection with whirling dervishes. It seem much richer with the additional information. You always do a lovely job too! Another very interesting quote, Deborah; thank you! Rumi is fabulous! It’s amazing how his poems and teachings have remained all these centuries! Yes, so glad we have the translations! Inspiring!! I am so glad you shared this.